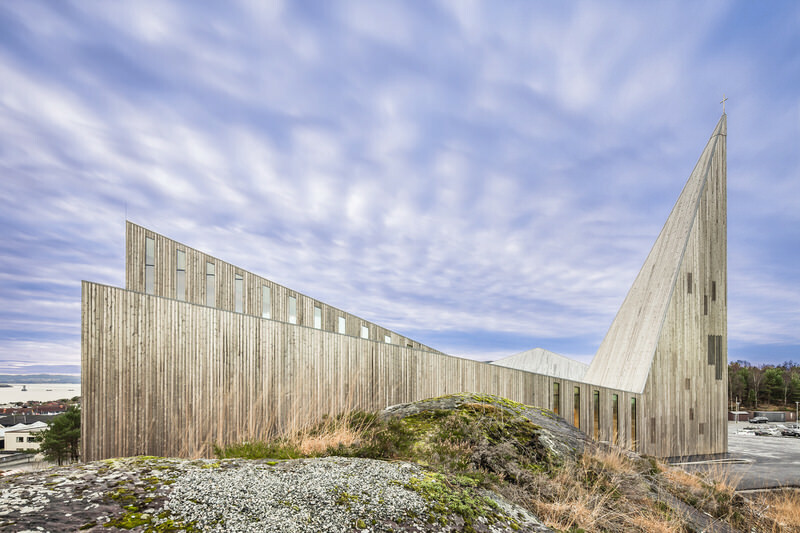 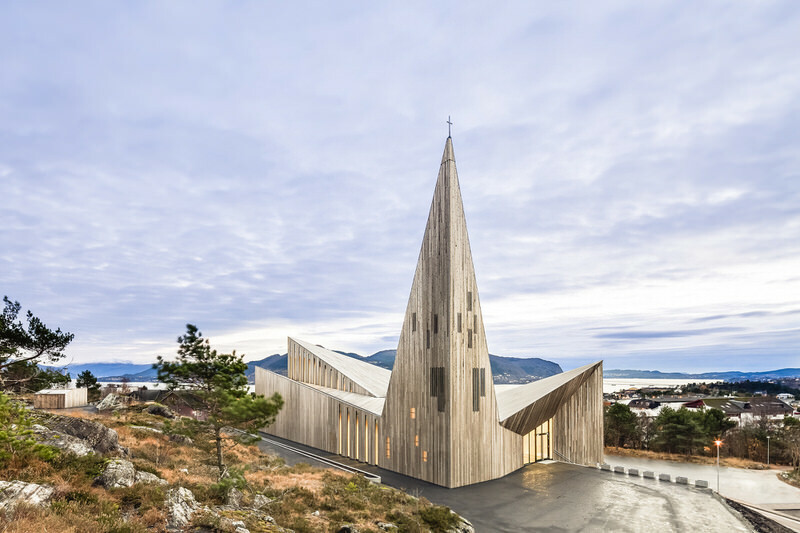 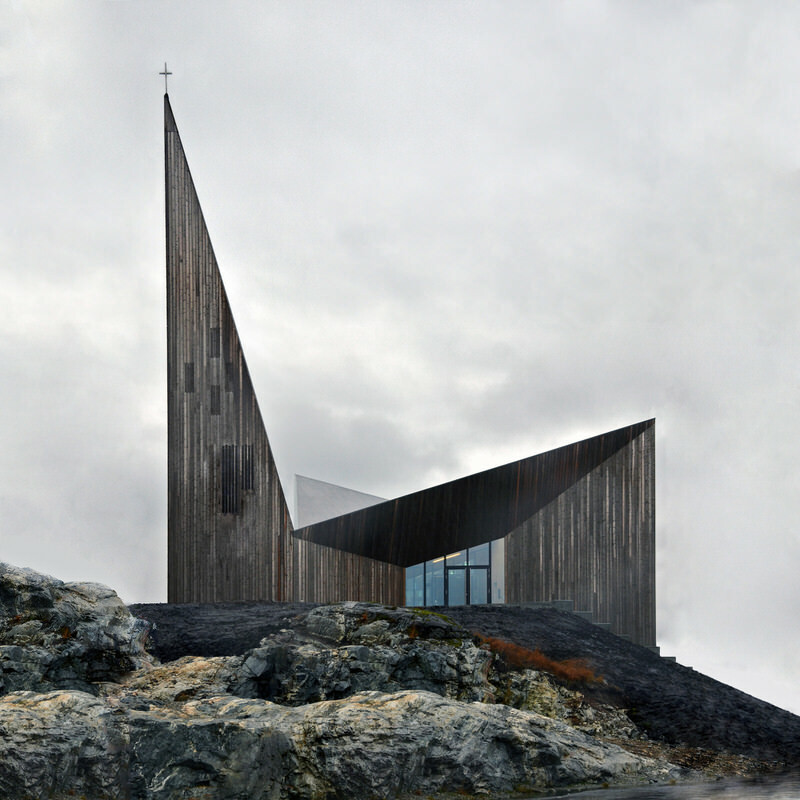 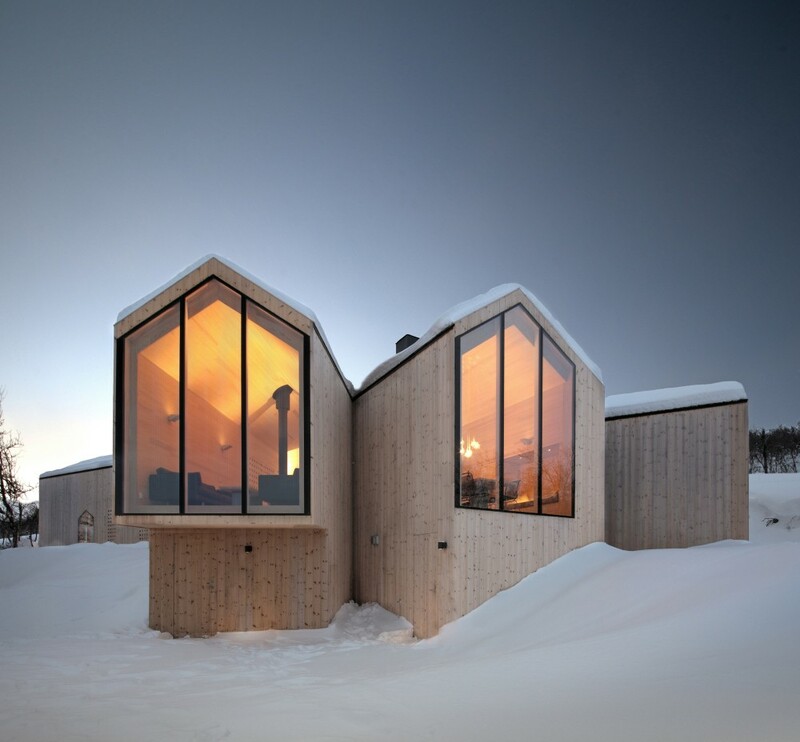 We’ve seen a separate project by Reiulf Ramstad Arkitekter in the past on Homeli, and the bridge of Scandinavian design aesthetics between Split View Lodge and Knarvik church are definitely noticeable. 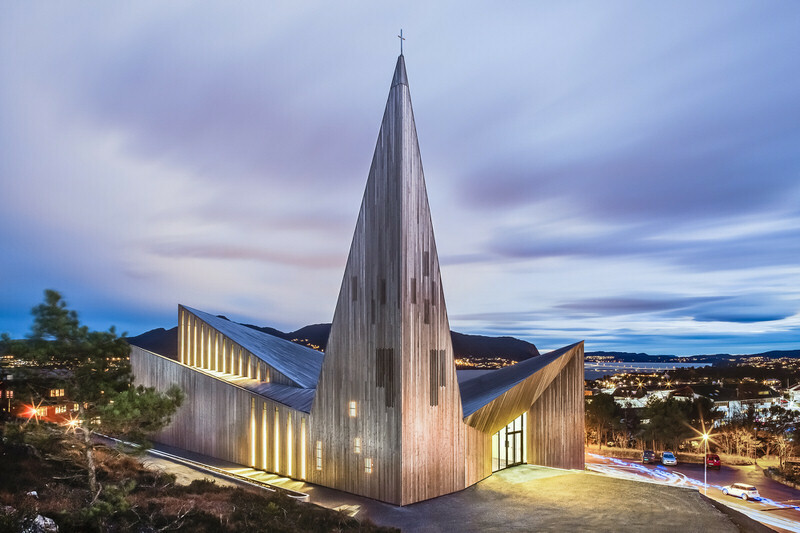 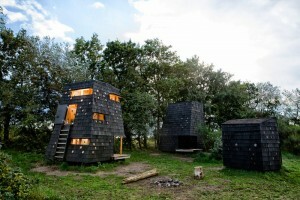 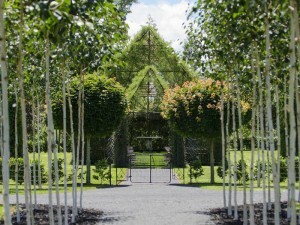 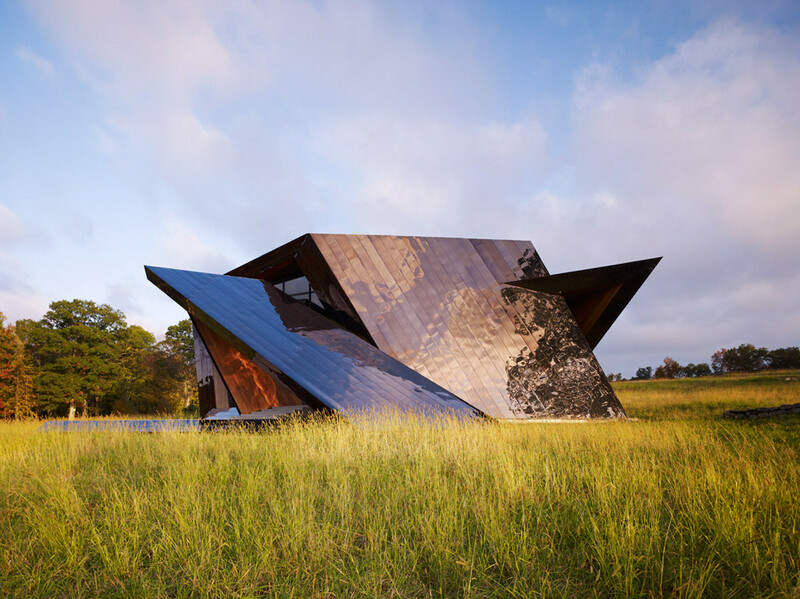 This place of worship brilliantly combines modern architectural trends with archetypal church features. 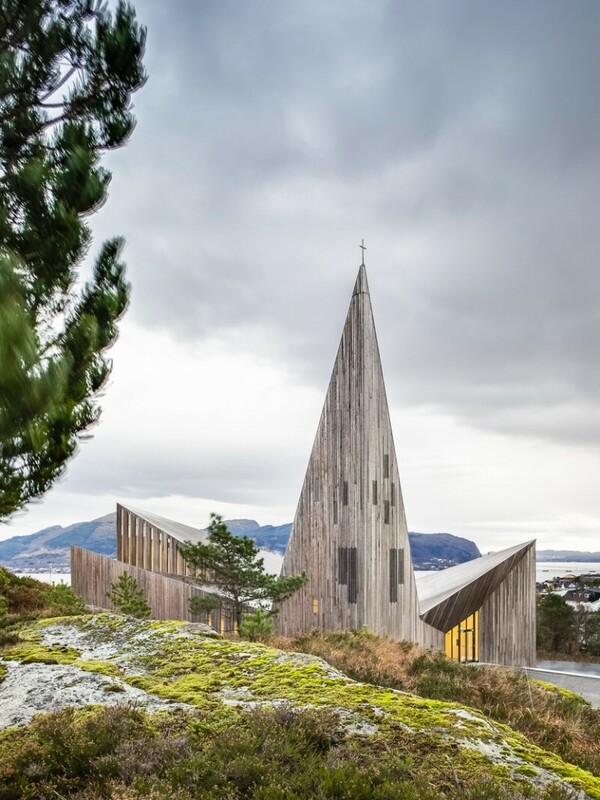 Most notably the spire in the form of an angular protrusion jutting out into the sky, while the manifold peaks and inclines of the structure resemble the rocky geological features native to Norway. 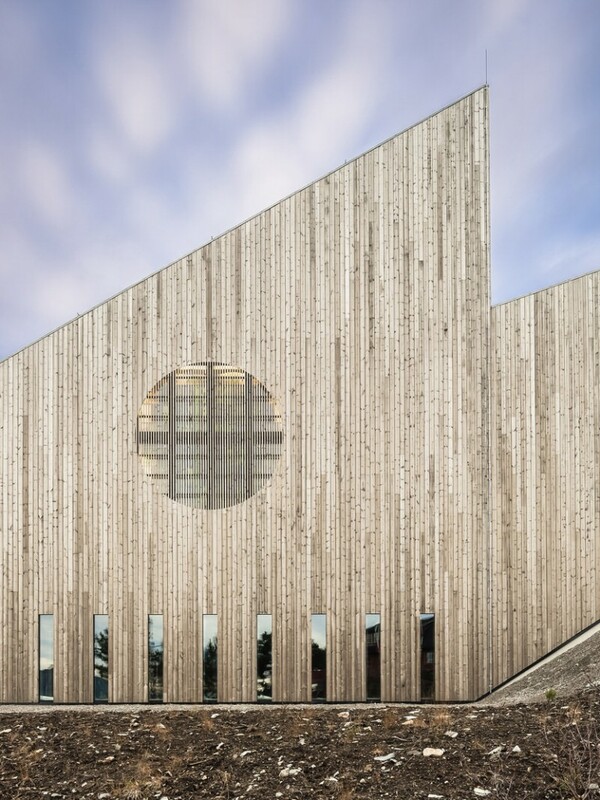 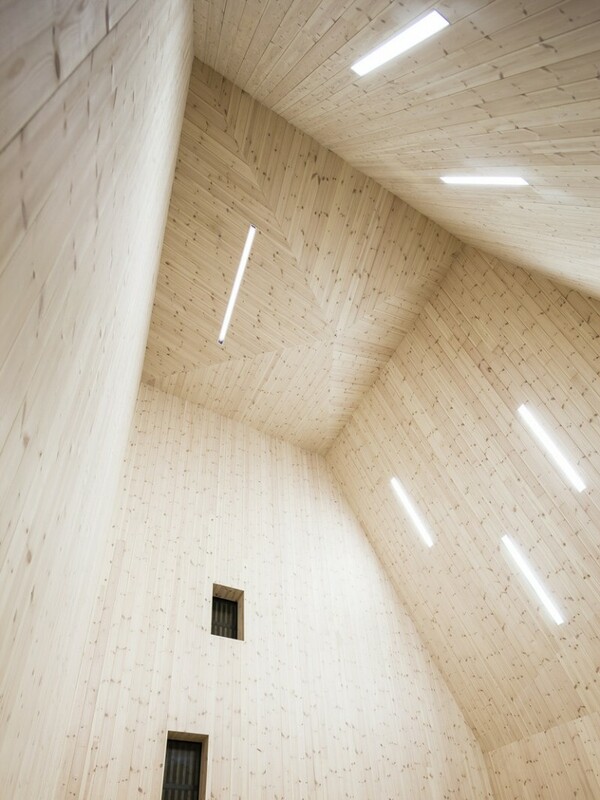 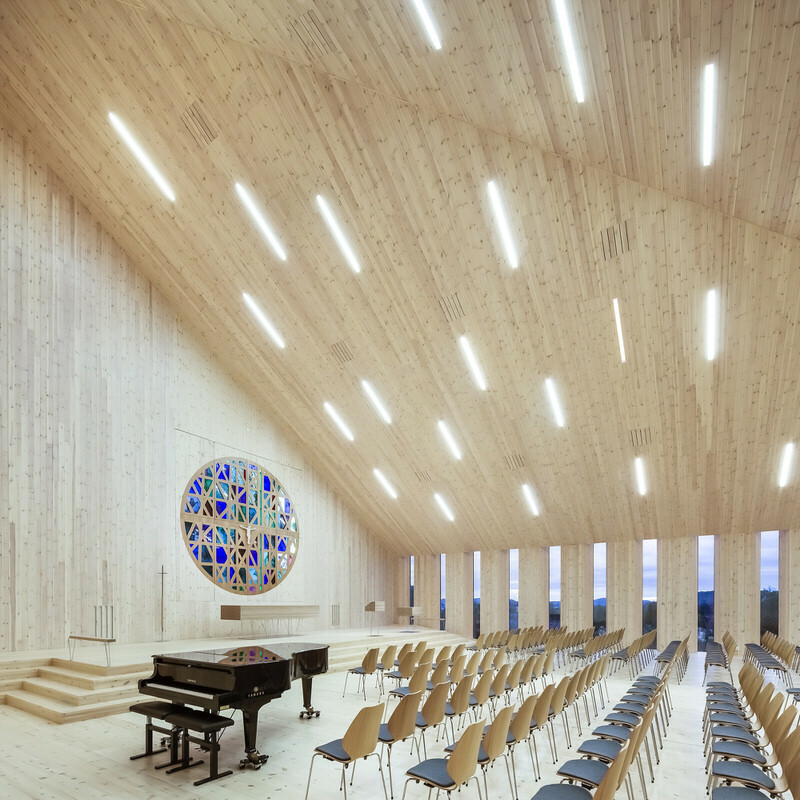 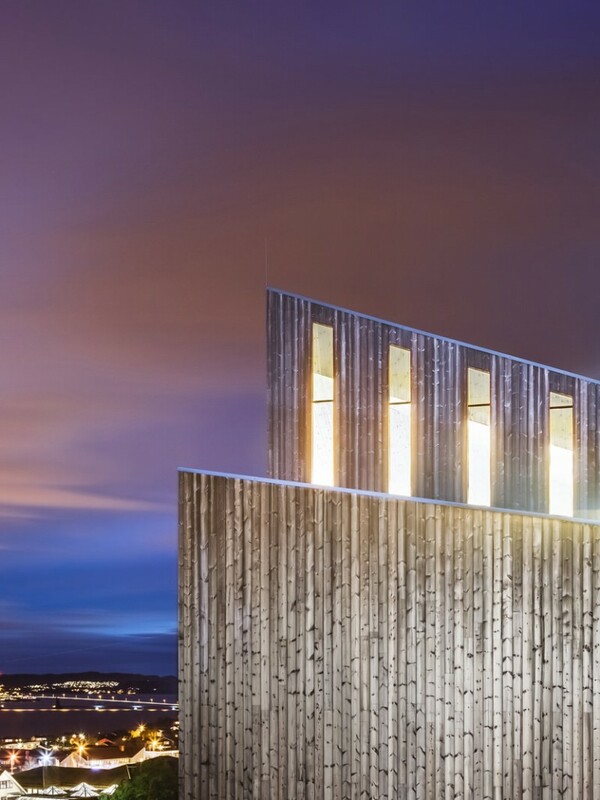 Timber cladding also features prominently in the interior of Knarvik Church, a pure, unadulterated medium which is ideally suited to the setting. 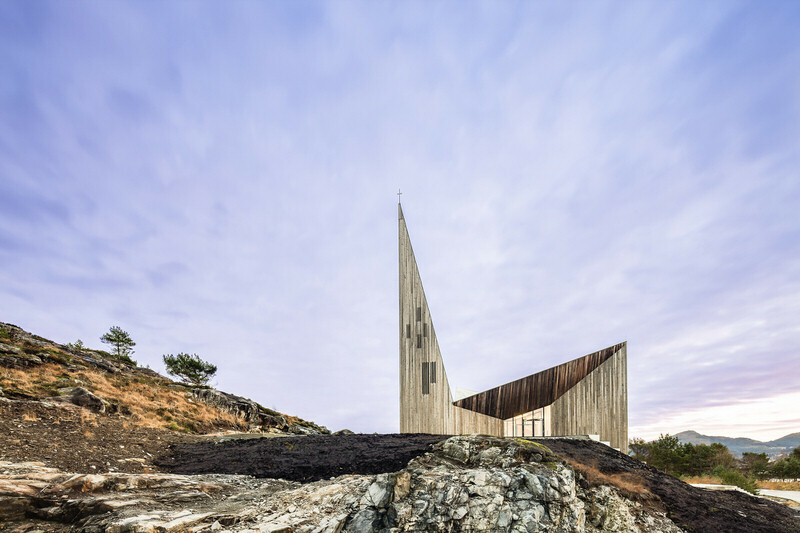 A minimalistic altar, font and crucifix completes the relatively pious approach.